Choosing the Right Tire: Where Do You Drive? When choosing the right tire for your car, be sure to consider where you do most of your driving. Much may depend on your general area — city vs. country as well as snow belt vs. sun belt. Other factors to weigh include the tire type and the impact of water (rain) on these tires. Nearly all tires made today for cars and trucks are all-season radial tires. Michelin pioneered the technology in 1946, replacing the bias-ply tires of that era. Radial tires like the Michelin Energy Saver A/S last longer, contribute to better fuel economy, and provide a more comfortable ride. Many of today’s radial tires are stamped as “all-season,” meaning that they’re suitable for year-round use in some locations. But all-season tires don’t provide the same level of grip on snow that winter tires, also known as snow tires, provide. If you live in an area where the temperature frequently drops below freezing and is accompanied by snow, ice, and slush, you will need to switch to winter tires on all four wheels from late fall to early spring. That’s because the tread material used in all-season tires stiffens in cold weather, resulting in reduced traction. 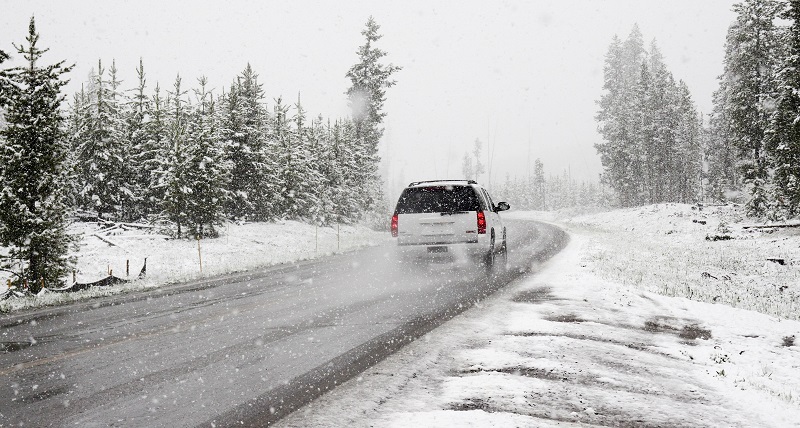 You should always use winter tires on all four wheels to ensure uniform handling and optimum control. Winter tires use special tread compounds to maintain flexibility in chilly weather. Winter tires also have deeper tread and unique tread patterns to eject snow and slush and evacuate water. Bridgestone Blizzak is a popular family of winter tires to consider for your car. 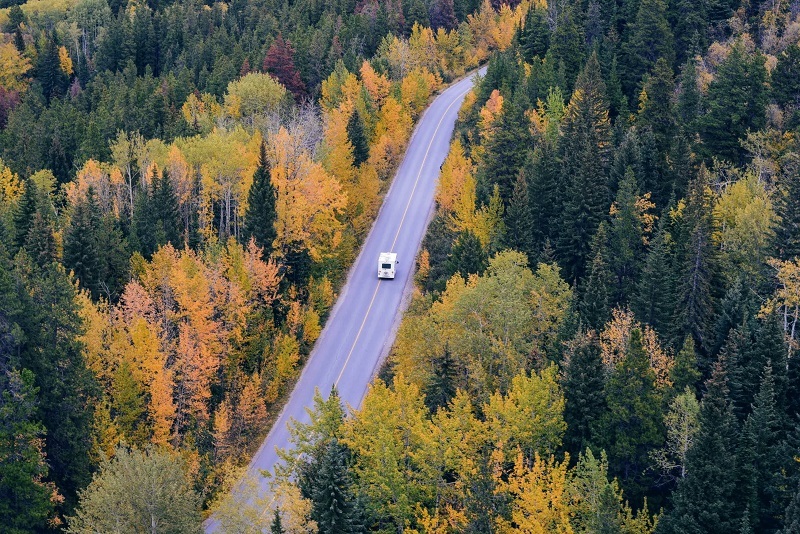 If your driving is comprised mostly of long trips – as in commuting back and forth to work – then fuel economy is probably important to you. Even in times of lower fuel prices, the last thing you want to do is waste energy and money. Low rolling resistance tires are commonly found on cars like the Toyota Prius, a hybrid prized for its fuel efficiency and “green” credentials. Manufacturers choose such tires because they employ different compounds and shallower tread blocks, helping to reduce resistance, an impediment to fuel economy. The flip side, though, is that wet traction is also reduced. If you live in a dry area, such as Arizona, low-rolling resistance tires are a good choice, but they may not be the best idea in areas where your commute regularly means driving in the rain. The Continental PureContact is one example of a fuel-efficient tire. Regardless of your tire choice, you’ll lose many of the benefits provided if you neglect to maintain them. This means checking the tire pressure at least once per month and keeping the tires inflated to the vehicle manufacturer’s recommended pressure levels. Lastly, you should also rotate your tires regularly. Check your owner’s manual for the recommended intervals. Properly maintained tires are extremely important – after all, they’re the only thing that separates your vehicle from the road. It’s good to know that you should get winter tires if you live in an area with freezing temperatures. I thought that all-season tires would be pretty comparable to the winter type, but if they really do stiffen in colder weather, then I’ll be sure to start looking for a second set. Hopefully that will prevent any accidents this coming winter season! My friend recently told me my tires are ‘banana peels’. What she meant is that I have very low tread. I think it’s about time to get new tires. I would hate to have a blowout on the freeway. I’ll take your tip and check the pressure once a month. I didn’t realize that nearly all tires made today for cars and trucks are all-season radial tires. You also mentioned that this technology was first made in 1946. I think it’s a good idea to choose a tire that is the proper size for your car and to also get snow chains if you need them! With winter fast approaching I realized that it was about time I put winter tires on my car. You wrote that winter tires use special tread compounds to maintain flexibility in chilly weather. I’ll have to find a quality store that supplies winter tires, as that flexibility will definitely be necessary in the cold weather where I live. The technology for all season tires has improved to the point that in many climates, snow tires are not needed. I’m not saying that snow tires are obsolete, they are still the best for driving in snow. All season tires are great for those locations that snow occasionally, but that snow is quickly eliminated by plows. Tires are one of the most essential component for car safety. It is the only point of contact with the ground. It must allow for acceleration, cornering etc., whatever the road, driving and weather conditions. It is also responsible for the comfort of the driver. So, proper inspection of car tire is very necessary for smooth running of car on the road and another thing is that the life span of car tire depends upon the condition of use that is load, speed, condition of road surface and also the quality of contact with the ground. But in this particular context I want to say the it is very much essential to choose the right kind of tire depending upon the season, type of road in different location etc. Your blog describes how to choose right kind of tire for better running of car. I would like to say thank you for sharing such an useful info. I appreciate you explaining the importance of picking tires based on the seasons you drive during the most or how much you drive on average. It’s important that you feel like you have reliable tires on your car for your specific circumstances. You should feel safe when you are driving knowing that the tires you have are good enough. Yup, one can buy a new set of tires for his vehicle effortlessly, but it can be really troublesome to find the right ones. And if you think using the wrong tire has no impact on car performance, then you are thinking wrong. Because the obvious truth is, if you employ incorrect tires, then you can stumble your car’s performance and its potential to handle any type of climate. Timely tire replacement is very crucial in keeping the car in a good shape, but it is more important to choose the right ones. Thus, if you have any doubt, then better you should choose all season tire instead of summer and winter tire, by which you can make sure that your car is now fit to deliver at least manageable and all-around performance. But if you want your vehicle performs outstandingly, then you should consult with a car specialist who will help you in spotting the right tire for your vehicle that best suited to the season. I didn’t realize that all-season tires stiffen in cold weather, resulting in reduced traction. Having moved to a location that is going to get a lot of snow during winter, I think I should start looking for some new tires for my car. Perhaps a local tire shop in my area will be able to provide the right types of tires that will allow for good handling during the cold weather. I’m glad you mentioned that low-rolling resistance tires have shallower tread blocks so they improve the car’s fuel economy. My new job is 40 miles away, and I feel like I’m filling my Subaru up with gas every few days. Maybe I should go to a tire service and get ones that can improve my Subaru’s fuel efficiency. It’s interesting that you say that low-rolling tires are a good idea for people living in drier areas. I would imagine that if you live in such an area, it would be good to take advantage of the higher fuel economy that these types of tires bring. After driving my family down to our new home, my treads are looking pretty bare. Because our new home is in a new location, we’ll have to consider getting low-rolling tires to replace them. These are some great tips; after all, depending on how someone drives and why someone needs to drive they are going to need different kinds of tires. I particularly like that the article recommends low rolling resistance tires for long commutes. That way your tires won’t wear down as much when you’re constantly driving on them.